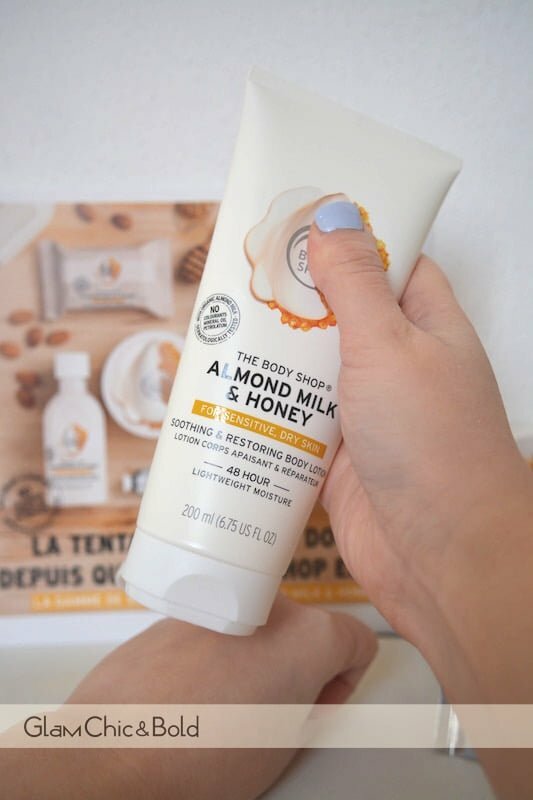 La gamma di prodotti The Body Shop si allarga ancora di più: infatti, nei negozi troverete la nuova collezione di prodotti per il corpo alla mandorla, latte e miele. Si tratta di una linea di prodotti che sono particolarmente consigliati per le pelli sensibili e secche. 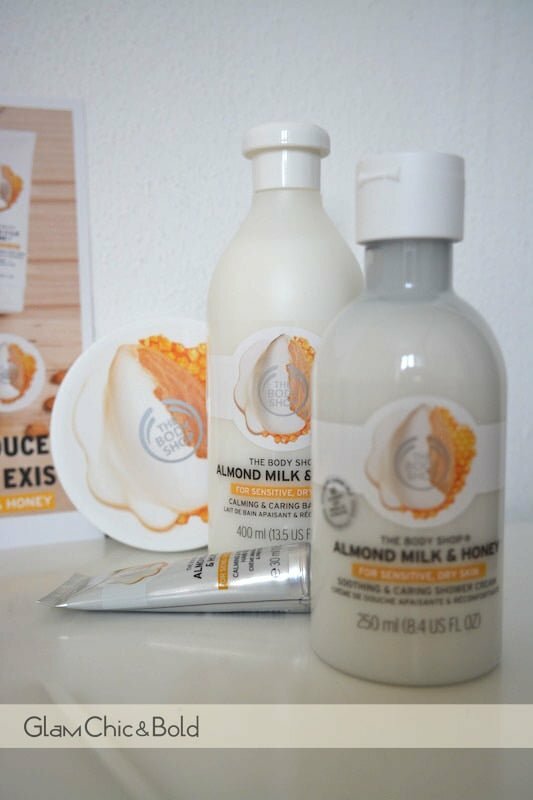 The range of The Body Shop products has grown: in fact, in the shops you’ll find the new collection of body products almond, milk and honey. 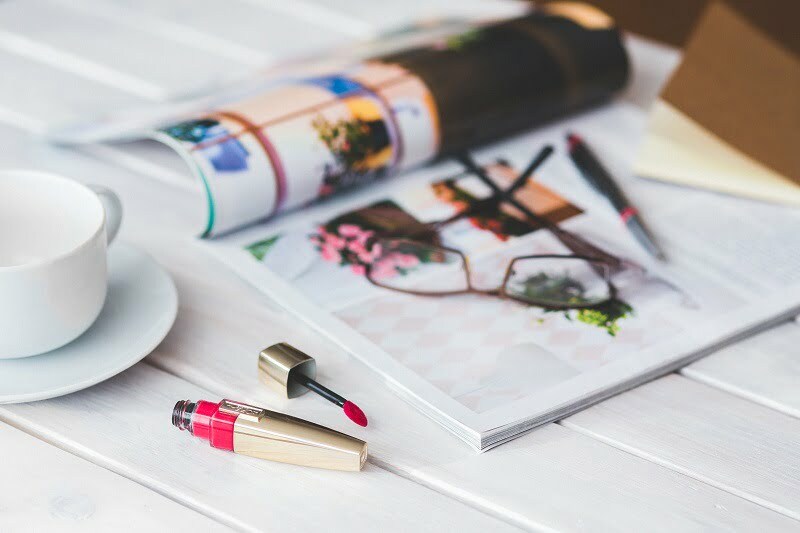 It is a line of products that are particularly recommended for sensitive and dry skin. La nuova gamma di prodotti The Body Shop è state realizzata in maniera tale da poter offrire un buon compromesso per queste persone: infatti, si tratta di prodotti che sono stati fatti senza coloranti e 100% vegetali. La texture di questi prodotti è leggera e nutriente, mentre che la profumazione è ipoallergenica. Dunque, utilizzando questa linea di prodotti potrete beneficiare di una grande sensazione di confort e benessere. 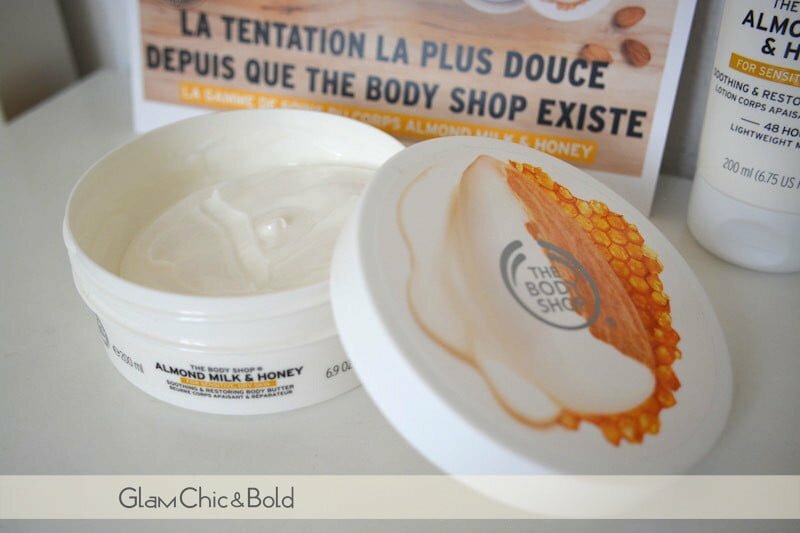 The new range of The Body Shop products has been realized in such a way as to offer a good compromise for these people: in fact, these products have been made without dyes and 100% vegetable. 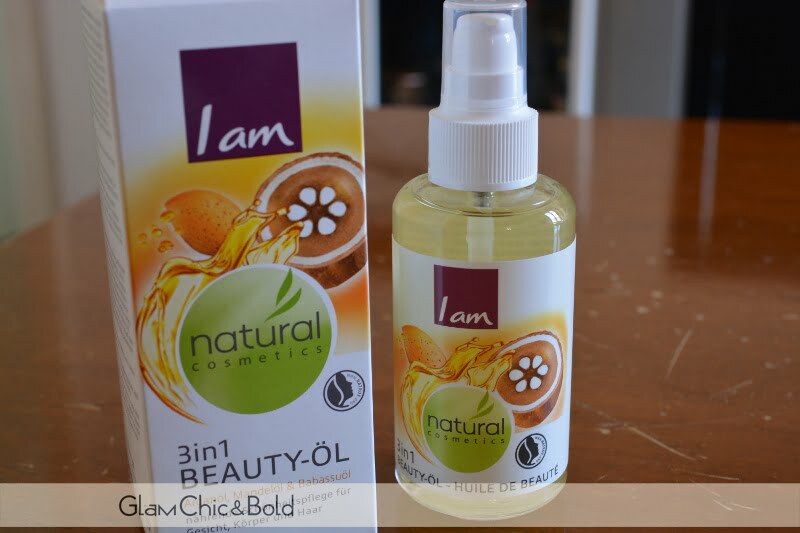 The texture of these products is light and nutritious, while the fragrance is hypoallergenic. 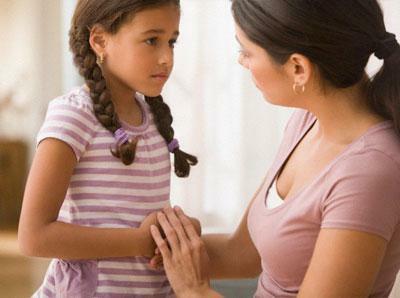 Therefore, using this product line will benefit from a great feeling of comfort and well-being. 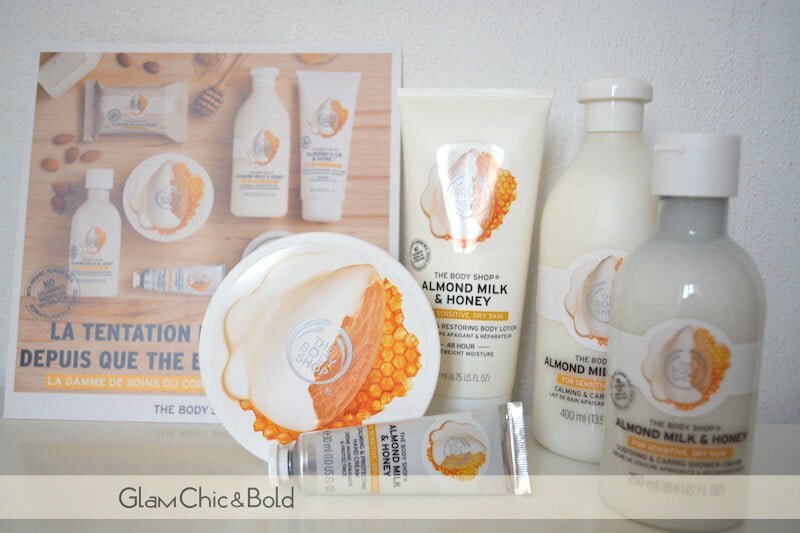 Ma quali sono i prodotti che troviamo nella nuova collezione The Body Shop Shop alla mandorla, latte e miele? 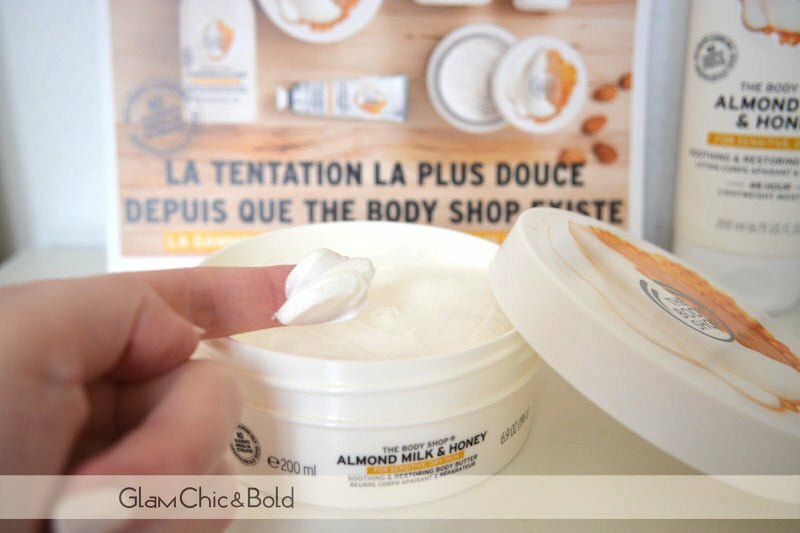 But what are the products that we find in the new collection The Body Shop Shop almond, milk and honey? Io ho iniziato a provare diversi prodotti tra questi, tra cui il bagno schiuma e devo dirvi che mi piace davvero molto: la profumazione è delicata e la pelle è morbida e lisca una volta terminata la doccia. Per idratarla a fondo, stendo poi la lozione corpo, mentre che sui piedi preferisco il burro che è più idratante a mio avviso. Peraltro, entrambi i prodotti sono in grado di garantire un’idratazione di 48 ore! I started to try different products between them, including the bubble bath and I must tell you that I like very much: the scent is delicate and the skin is soft and bone after the shower. To moisturize thoroughly, then stretched out body lotion, while that on the feet I prefer butter moisturizer that is more in my opinion. Moreover, both products are able to ensure hydration of 48 hours!